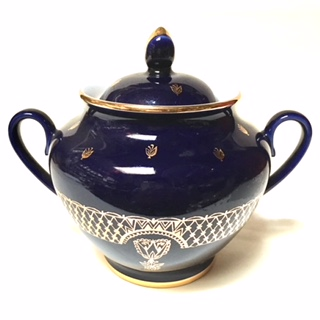 Deep cobalt blue sugar bowl with gold band. 6 1/4" width and 5" height. Lid with gold detail.